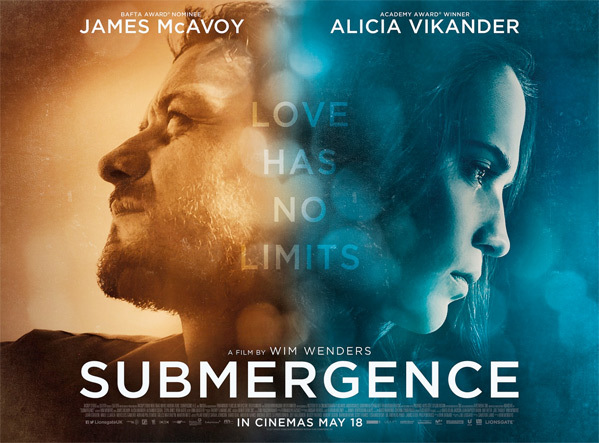 "I want to be beside you…" Lionsgate UK has debuted the first official trailer for a romantic drama thriller titled Submergence, which also happens to be the latest feature film made by prolific German filmmaker Wim Wenders (yeah, seriously). The film stars Alicia Vikander and James McAvoy as great lovers, but with a only-in-the-movies pitch: "In a room with no windows on the eastern coast of Africa, an Englishman, James More, is held captive by jihadist fighters. Thousands of miles away in the Greenland Sea, Danielle Flinders prepares to dive in a submersible to the ocean floor. In their confines they are drawn back to the Christmas of the previous year, where a chance encounter on a beach in Normandy led to an intense and enduring romance." The cast includes Alexander Siddig, Celyn Jones, and Reda Kateb. This reminds me a bit of Zemeckis' film Allied, but with a deep sea, submerged twist. Not sure if it's going to be any good. Danielle Flinders (Alicia Vikander) and James More (James McAvoy) meet by chance in a remote hotel in Normandy where they both prepare for a dangerous mission. They fall in love almost against their will, but soon recognize in each other the love of their lives. When they have to separate, we find out that James works for the British Secret Service. He's involved in a mission in Somalia to track down a source for suicide bombers infiltrating Europe. Danielle 'Danny' Flinders is a bio-mathematician working on a deep sea diving project to support her theory about the origin of life on our planet. Soon, they are worlds apart. 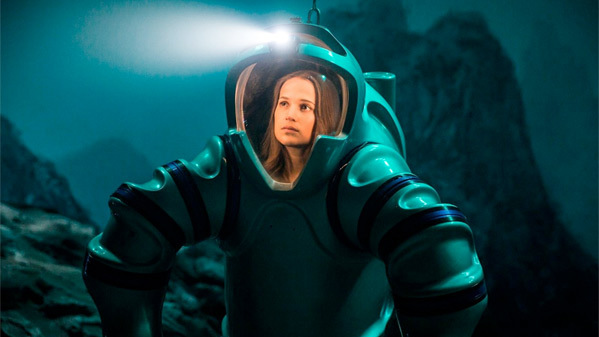 James is taken hostage by Jihadist fighters and has no way of contacting Danny, and she has to go down to the bottom of the ocean in her submersible, not even knowing if James is still alive… Submergence is directed by prolific German filmmaker Wim Wenders, of the features Land of Plenty, The Million Dollar Hotel, Paris Texas, Hammett, The American Friend, Palermo Shooting, and Every Thing Will Be Fine most recently. The screenplay is written by Erin Dignam, based on J.M. Ledgard's novel. This premiered at the Toronto Film Festival last year. 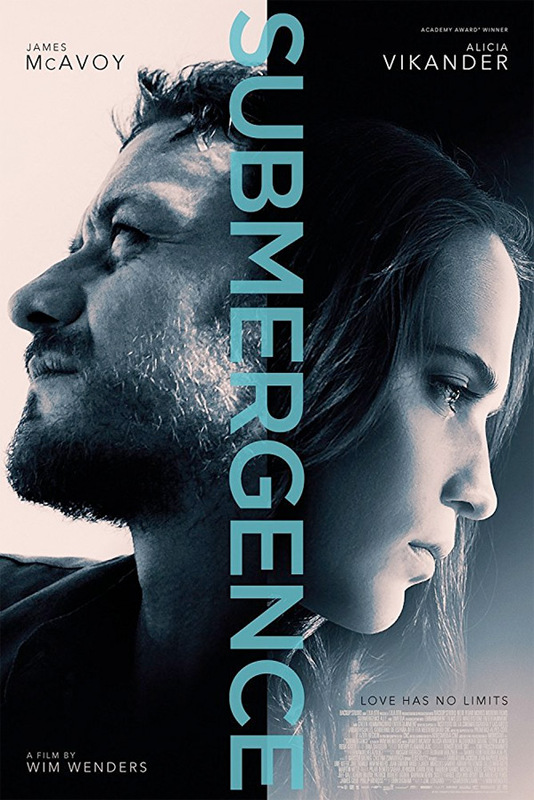 Submergence opens in select US theaters starting April 13th this spring.